......Piccalilli Pie: Hooray for Hoary Marmots! The hoary marmot is one of those animals whose name I can never read without hearing the voice of John Cleese pronouncing it, with dramatic pauses, at the outset of a Pythonesque mock-umentary about the species: "And here we have...the Hoary Marmot." 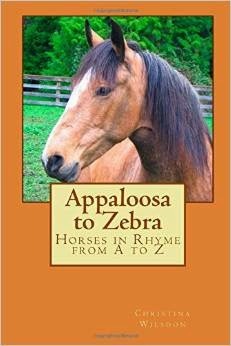 It is definitely not one of the animals you learned about growing up in the 1960s on the east coast. It is a creature of alpine and subalpine meadows, habitats severely lacking on New York's Long Island, where the highest point is High Hill at a mere 387 feet above sea level. An alpine meadow on Mount Rainier is where we most recently encountered a hoary marmot. The "hoary" in the name refers to the grizzled gray fur on an adult marmot's back and face. Marmot comes from French and Latin words that mean "mountain mouse." The Rainier marmots along the paved trail that leads up toward the mountain from the Paradise visitor center are utterly blase about humans, even ones who thoughtlessly let their children tromp on the meadow and run up to the animals without any regard for other people who are wildlife-watching. Not that I'm complaining about rude people or anything. 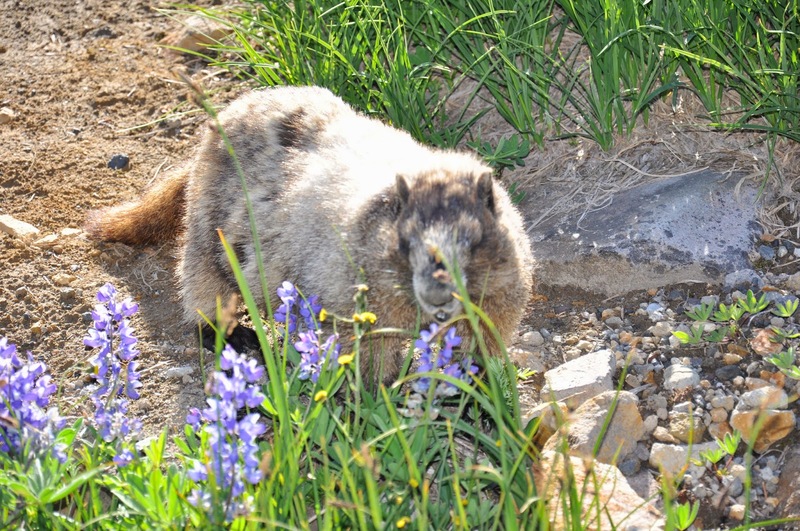 These marmots pose most obligingly for tourists, so I suspect the National Park Service is actually paying them off in edible flowers. Flowers are just one of the foods that go toward making the hoary marmot a hefty animal. 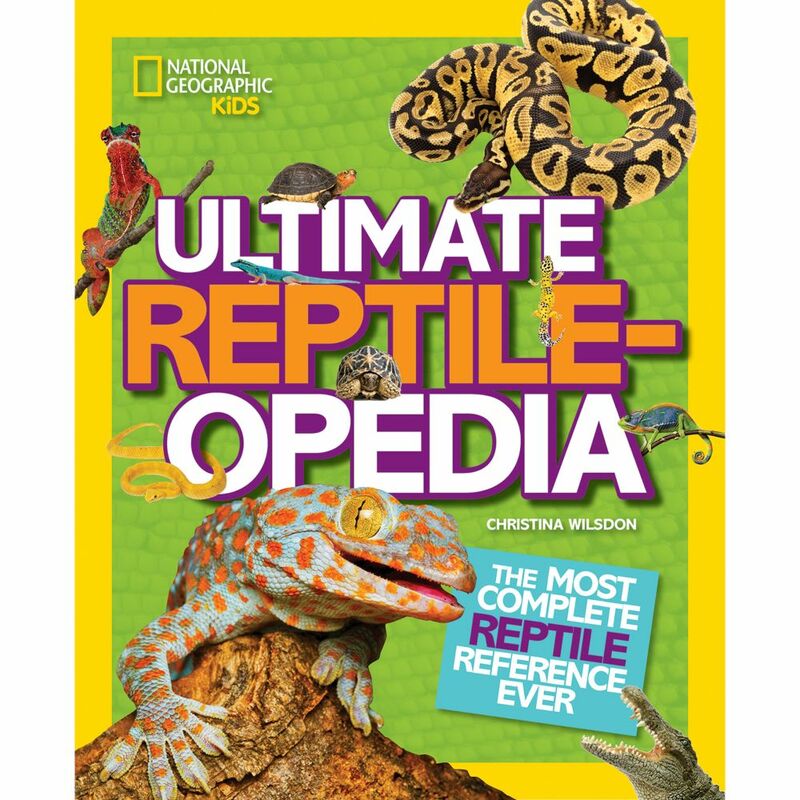 It is up to 32 inches long, with the tail adding nearly another 10 inches, and can weigh up to 20 pounds. It lives in a burrow, which it digs in areas filled with rock fragments (known as talus). Other habitat requirements include rocks on which to perch and plenty of grass and other plants to eat. Eating is one of the marmot's favorite pastimes, and it goes into hyperdrive in late summer, packing on an extra 20 percent or more of its body weight so that it enters winter with ample fat reserves. Hoary marmots hibernate all winter, piling into a communal sleeping chamber in October (or even as early as mid-September depending on where they live) and not emerging again until May. The extra fat sustains them during this remarkable eight-month sleep, during which their normal respiration rate of about 100 beats per minute drops as low as three beats per minute. When we strolled through the marmot meadow, we spotted about five of the animals. Hoary marmots typically live in small colonies that are basically extended families, spread out over a rich feeding ground. We heard one marmot, hidden on the hillside, repeatedly calling out with a loud whistling cry, which is a warning signal among marmots. Though the marmots on the rocks below us seemed to take notice of the whistle, they didn't stir. Perhaps the whistler was a young marmot who thought humans were predators (which they are, though not in the park) and was practicing due diligence, while the older marmots knew there wasn't much to worry about from a bunch of mamas and papas packing sippy cups and Pirate Booty. The marmot's whistle has earned it the common name of, well, whistler. The mountain known as Whistler in British Columbia is named after the species. The marmot is also called a whistle-pig (which is a great name for an animal, not so much for a mountain.) The whistling cry can carry for more than a mile, making it an excellent way to communicate across a sprawling meadow. You would be correct if you guessed that the hoary marmot is related to the groundhog, which likewise sleeps through the winter. The groundhog, also known as a woodchuck, is in the same genus--its scientific name is Marmota monax, the hoary marmot is Marmota caligata. Both marmots are in the squirrel family, along with chipmunks, prairie dogs, and, of course, squirrels. If you're a birder and are assembling a life list, you know it's going to be a lifelong occupation. A comprehensive life list is much easier for a marmot-watcher. There are only about 14 species of marmot, all of which live in the northern hemisphere, and 6 of them live in North America. You can see 5 of them without leaving the United States, and the sixth species would require nothing more than a pleasant trip to Vancouver Island. Lewis and Clark encountered one of them, probably the yellow-bellied marmot, in their travels. They make an offhand mention of seeing a "Moonax, which the natives had petted," "moonax" being the Algonquin word for a marmot. Was it a tame marmot? Being that it was April, was it a snoozing marmot they'd dug up that was too zonked to run away? We'll never know. 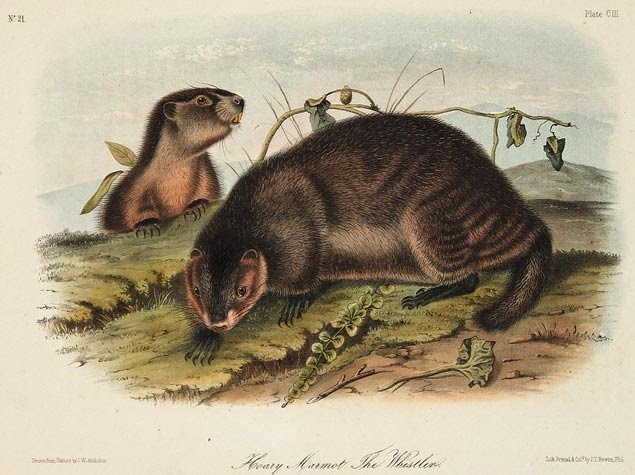 No less a personage than John James Audubon painted a portrait of the hoary marmot, though it seems the only living one he saw was a caged specimen in Europe. He claimed that the marmot "seemed to be dull and sleepy." There is no record of what the marmot thought of Audubon. If Audubon had been able to plant himself in Rainier's marmot meadow, not far from the lodge, he would have enjoyed his very agreeable subjects, who would pose most obligingly, keeping watch while sunbathing on their rocks. We only saw the marmots move vigorously a few times, when they displayed a variety of charming marmot behaviors such as kissing (pressing their teeth and cheeks together in greeting) and a bit of wrestling (sitting up and playfully pushing against each other with their forepaws). Our marmot meetup occurred in late September, but now, as Halloween approaches and Mt. Rainier's flanks are cloaked in snow, the marmots have probably tucked themselves in for the winter. They cleverly position their shared den, called a hibernaculum, under a rock so as to thwart hungry bears from digging them up midwinter and eating their snoring, conked-out selves. They'll still be fast asleep when poor old Punxsutawney Phil, the Pennsylvanian groundhog, will be shaken awake on Groundhog Day to predict the weather. Perhaps we can start up a new holiday for midwinter--call it Marmot Monday and celebrate it by sleeping late, then getting up and eating heartily for a few hours before going back to sleep again. Sleep late, eat heartily and then crawl back into bed? Put Marmot Monday on the ballot because I'll vote for it, especially as the damp, gray autumn wraps itself around Seattle!